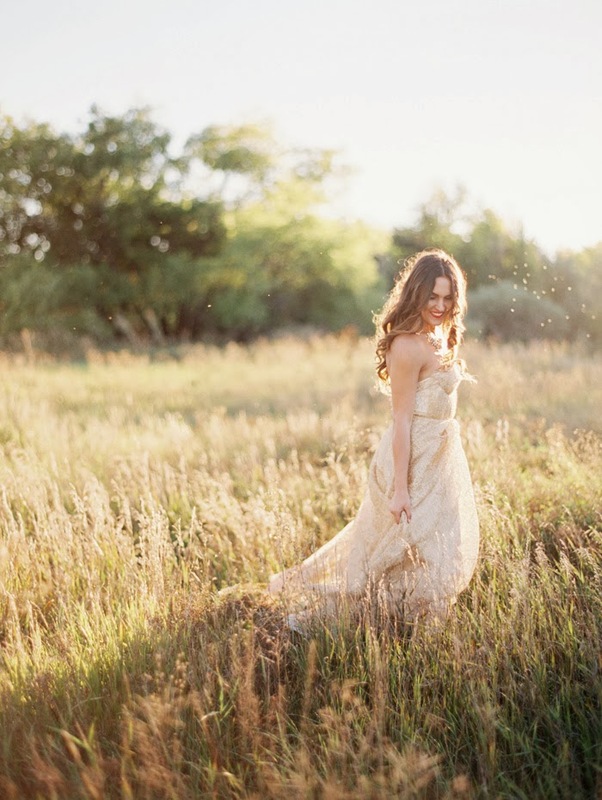 This shoot is absolutely STUNNING!! The colors are unreal. 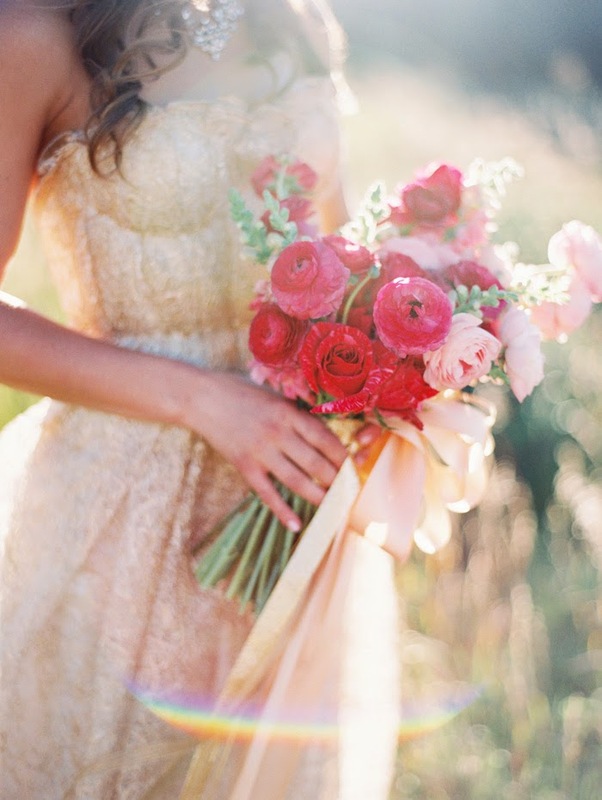 I LOVE this dress - I am pretty sure I have already featured it, but it is simply beautiful. 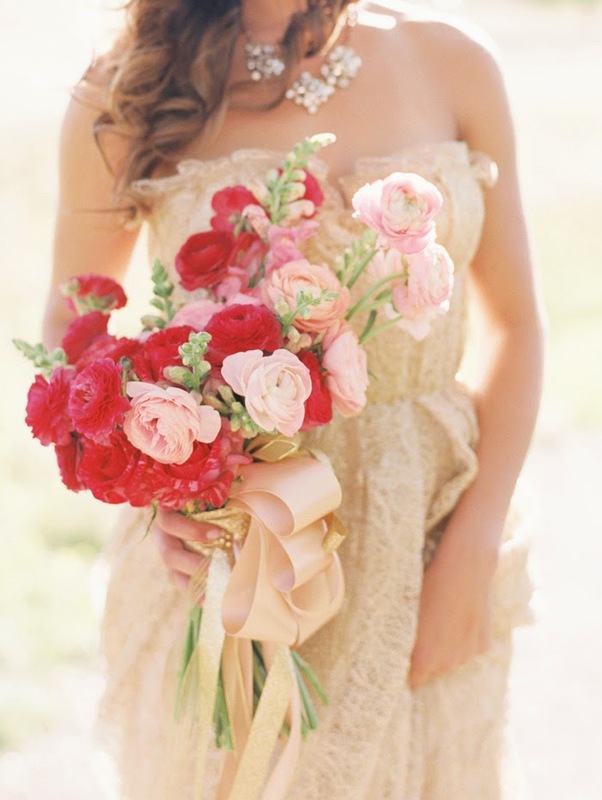 The colors in this bouquet are to die for and that is saying a lot because red and pink are probably my least favorite colors. 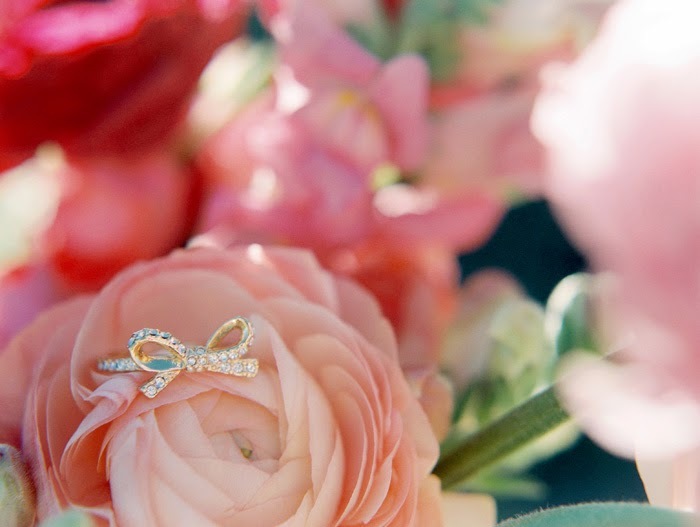 The overall floral design, the J.Crew necklace, the golden hues, the gorgeous model, and the PERFECT bow ring make this one a winner in my book! All around I am in awe at the beauty in these photos. 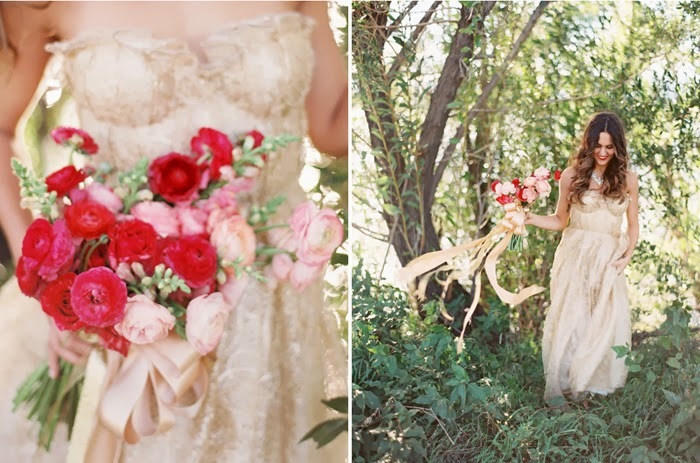 Thanks to my ladies at Grey Likes Weddings - I am always inspired! REMEMBER to enter the $75 Visa Gift Card giveaway - ends today at noon!! 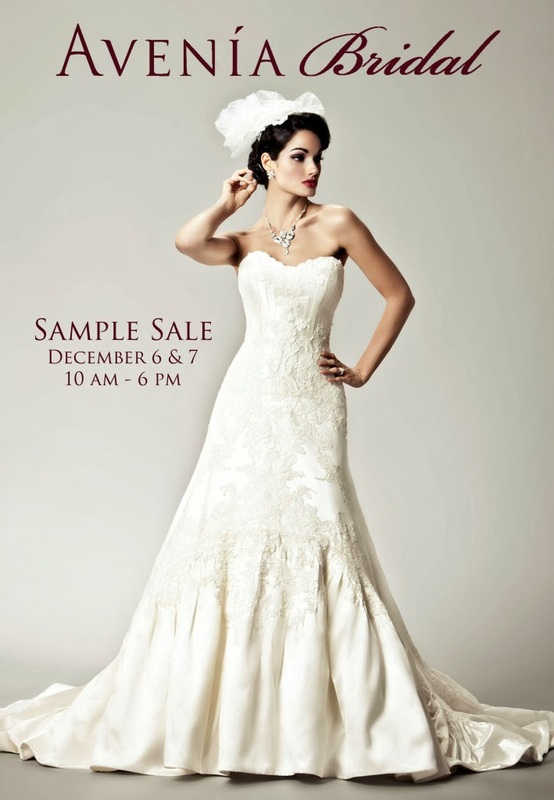 A reminder for those in the Utah County area - Avenia Bridal is having a massive Sample Sale THIS WEEKEND!!! Be sure to stop in with anyone you know who is getting married! Click here for more details!